I have a lovely three bedroom, two bathroom house; with two living areas, newly renovated kitchen, great views and a.c. throughout. Rent is $170, bills will be halved. I have unlimited internet for $60p/m, netflix, and electricity is usually $300p/quart. No smoking, no drugs. Any sign of illegal drug use will be terms for immediate termination of lease and will be reported to the police. Lots of animal therapy and lots of gym equipment. Close to Drakes, tavern, golf course. Very clean and nice energy....Rain water tank etc... unlimited data which is 20 per mth. Bill's and bond on top. Bon fire, ceiling fans, central air con. Room furnished with a bed and TV. 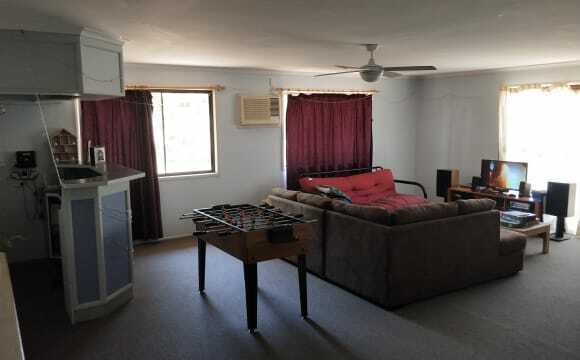 House is located in township of marburg, walking distance to local shops and pub. 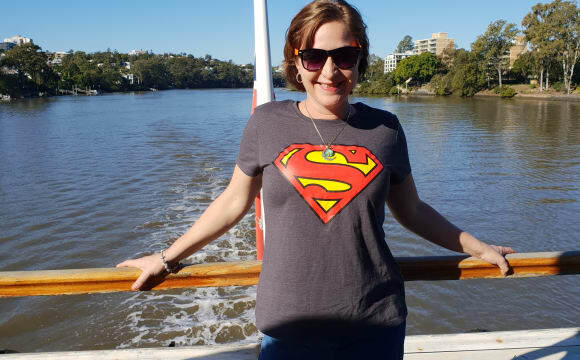 close to main Hwy making travel to Brisbane and Toowoomba a breeze. property has 2 kitchens upstairs and downstairs toilets, gym area, outdoor gazebo with tv, all rooms have full security for when you not home, full unlimited internet access via wifi or lan, all rooms are airconditioned.Off street parking with parking bay in front auto gate at entrance, house entry is with keyfob access control. Rent is negotiable for thoses who want a long term lease. This is a very large property, just under one acre backing onto rolling hills. The house is a long acreage style house. 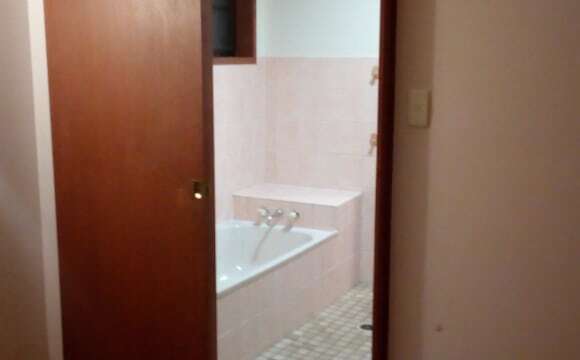 Bedrooms are a good distance from each other and your bathroom would be across the hall from your room, You have use of this all to yourself, however, it is the bathroom with the bath in it so occasionally I may use it for that. The house itself is fully furnished but the bedroom will be unfurnished. There is a garage you can store a few items but I use it for my car so parking for your car would be on the property outside, but is off the street and can't be seen from the road. If you had a motorbike/s you can put it in the garage. Although I like peace and quiet sometimes, you can play your music loud and not worry about the neighbours too much, they are not right up in your face. Everything you need really is here. Chefs Stove and kitchen. Netflix, the internet, Solar &amp; Battery being installed so there will be no electricity bills. There is a gym in the house with a fair bit of equipment and you are welcome to add more, Fans in every room. You are welcome to install a television outlet in your room. 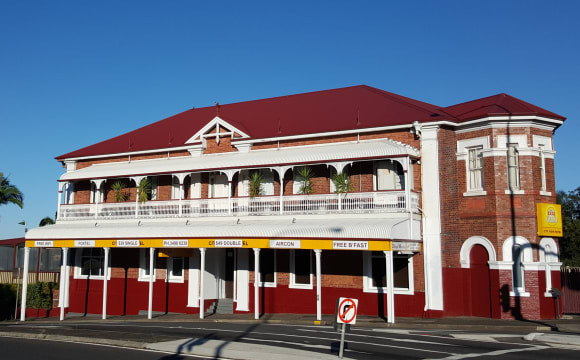 Quiet town but there is a pub, a shop, some cafes and just 15 minutes drive to Ipswich (you need your own transport) 45 minutes to Toowoomba. This is a quiet town so it is not for anyone looking for the high, exciting life but it is beautiful and charming and you can get wherever you need to be really quick. You will need to be a dog lover, as I have two big inside dogs. 3 Bedroom home. Air-conditioner in all 3 bedrooms, lounge and office. Large yard at rear. Parking at front of property. Solar panels help to produce cheaper electricity. This is a large older style federation house with 4 bedrooms + study and 2 separate living areas. You can enjoy a peaceful leafy setting with inground swimming pool on a 5000 sq mtr block. It is located in a quiet cul-de-sac and has plenty of off street parking and a large shed to store some items if needed. Room is furnished with own bathroom down the hall. 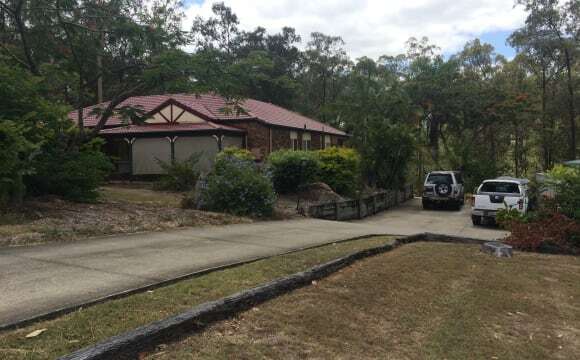 Easy access to Warrego Highway and a short drive to Ipswich and surrounding surburbs. Karalee Shops and brand new shopping near by. Netflix and internet is included. Air conditioning in family areas only. Shared kitchen facilities with plenty of fridge and pantry space. 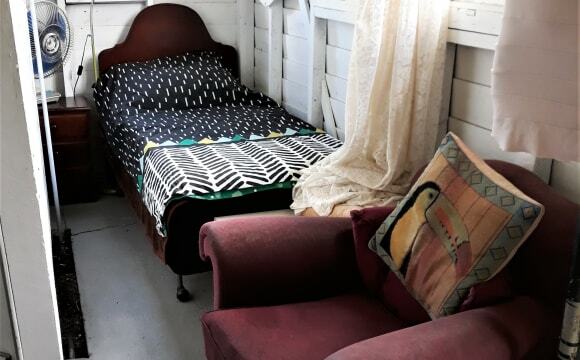 Room to rent $135 pw, includes electricity, water, high speed internet &amp; double bed (linen not included) big queenslander, veranda out back, BBQ, large yard, lots of storage space under house, bus stop out front, walking distance to Riverlink shopping center, Ipswich central &amp; train station. This isn't actually a lockable room, it's a curtained off alcove in the laundry of my little wooden 1930s cottage. It's pretty basic but clean and fully furnished with a single bed, bedside table with drawers, fan, lamp, bookcase/shelves, mirrors and built in area with shelves and hanging space. There is also a kitchenette area and small bar fridge and food storage cupboard. Bed linen and pillows are provided. 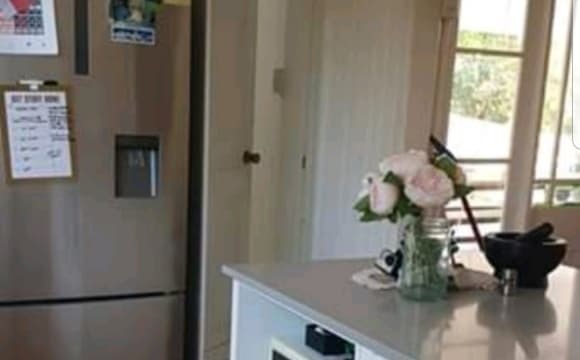 The washing machine and large kitchen with electric bench top cooker/oven, toaster, microwave, blender, coffee machine (supply your own coffee), etc. are shared. The best thing about it is the location. It's in a quiet street just 2 minutes walk to Riverlink Shopping Centre, shops, restaurants, banks, gym, cinema, medical centre and bus to university. 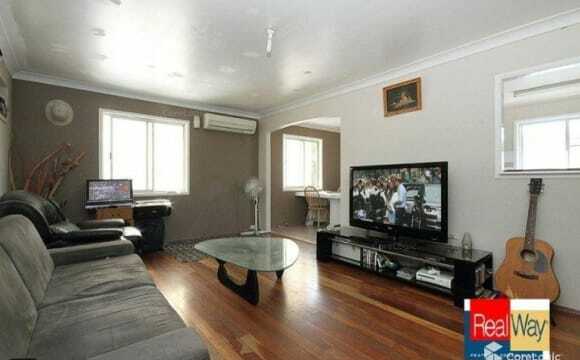 Flat, easy,10 mins walk to Ipswich train station and Ipswich CBD. 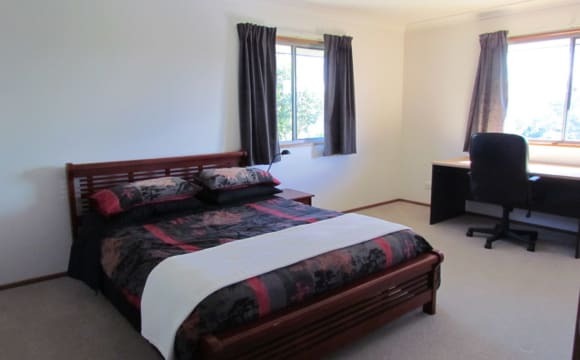 Rent includes all the utilities (electricity, water, gas) and unlimited high speed fibre optic internet at no extra charge. The whole house (including your room) is professionally cleaned every week. 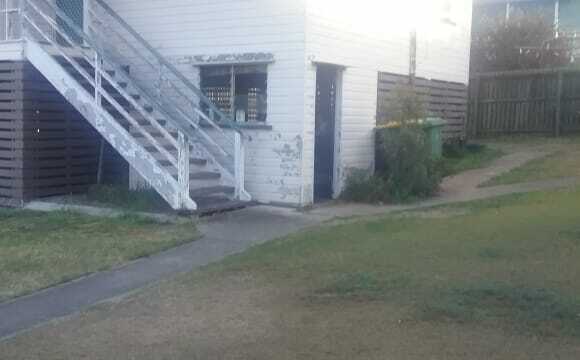 My house is small and close to everything with shops across the road and train station a couple of streets away! 150 metres to 24 hour gym. There is some storage available in the shed for excess gear! 1875 double brick cottage, lots of living spaces, deck and garden. 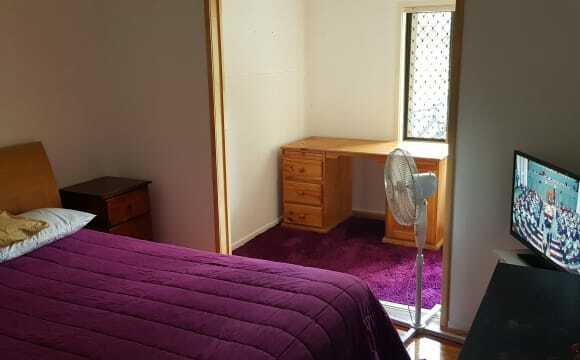 5 min walk to Ipswich Hospital, CBD and train, quiet street and national park at top of hill. I have a dog.